OXFORD, Miss. 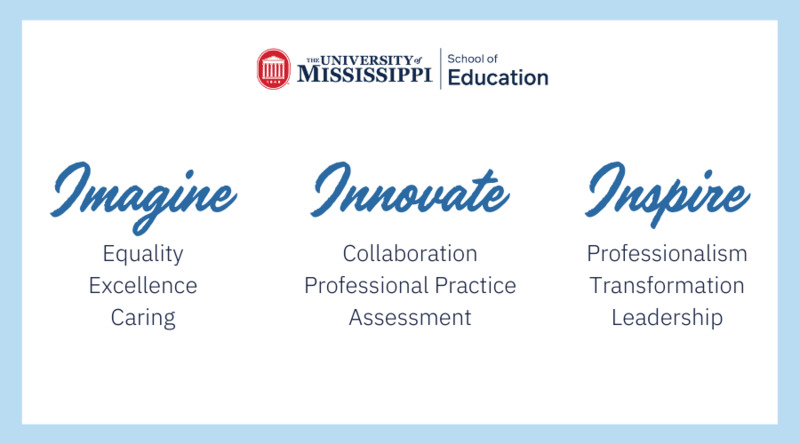 — Fourteen educators from across Mississippi make up the 10th cohort of the Principal Corps, the University of Mississippi’s elite program in K-12 educational leadership. In June, the group gathered for the first time at UM to begin the 13-month program. The Principal Corps utilizes both graduate coursework in educational leadership and two full-time internships during the fall and spring semesters, which allow recruits to gain hands-on leadership experience under the supervision of experienced mentors. The 10th class of the Principal Corps includes: Miranda Bishop of the Jackson County School District, Suzanne Cain of the Newton County School District, Luke Daniels of the Petal School District, Katherine Gilbert of the Pascagoula School District, Megan Duff of the Okolona School District, Jamey Germany of the Lauderdale County School District, Lisa Hadden of the Rankin County School District, Chander Jenkins of the South Pike School District, Matthew Magee of the George County School District, Dana Maharrey and Kama Smith of the Tupelo Public School District, Precious Malembeka is Jackson Public Schools, Jaimie Tiblier of the Biloxi School District and Kristin Walters of the Laurel Public School District. Many Principal Corps recruits will complete their internships near his or her home school district. Internship placements are located across the state. During the academic year, Principal Corps participants come to Oxford for coursework one week each month. Smith, a 14-year English teacher at Tupelo High School, was attracted to the Principal Corps after seeing a colleague complete the program last year. She plans to complete her internships in the Tupelo Public School District and hopes to move into an assistant principal position after graduation next summer. Each graduate will earn either a Master of Education or Specialist in Education degree in educational leadership from UM. This degree, along with passing the School Leaders Licensure Assessment, will qualify them for a school administrator’s license. The Principal Corps offers one of the most valuable leadership scholarships in the country. All cohort members receive full tuition, books and housing while at Ole Miss. 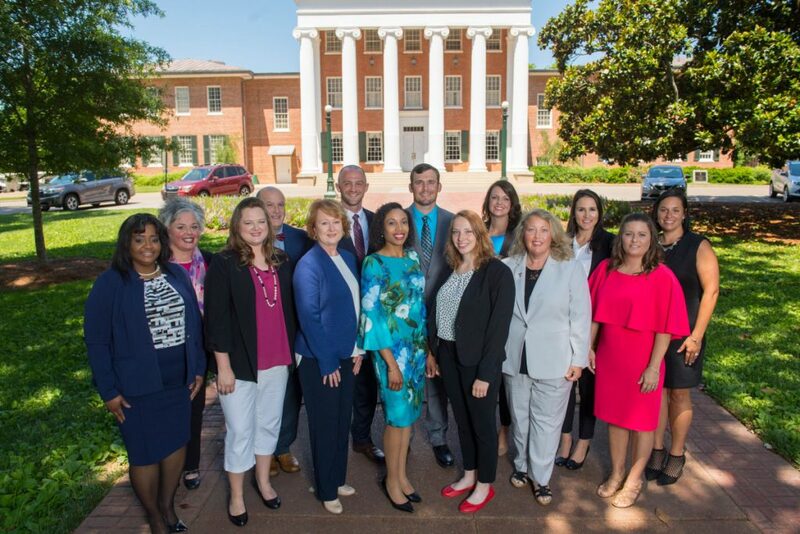 Besides earning an advanced degree in educational leadership, graduates receive a $10,000 bonus from the program upon accepting a principal or assistant principal job in a Mississippi public school and beginning work. Each graduate makes a five-year commitment to stay in Mississippi. Magee, an English teacher from George County’s Star Academy dropout prevention program, was also attracted to the program after seeing a co-worker go through the Principal Corps. The new cohort members have impressive credentials and diverse educational backgrounds. Many hold advanced degrees, national board certifications and have already taken a leadership role within their schools. Before being accepted into the program, all recruits must receive an endorsement from their superintendents. Daniels, a sixth-grade math teacher from Petal, was attracted to the program because it will allow him to complete his internships within his home school district, where he hopes to move into a leadership role after graduation. The Principal Corps was established in 2009 with funding from the Jim and Donna Barksdale Foundation. The program is also supported with funding from the Robert M. Hearin Support Foundation in Jackson. Read our Graduate Studies Viewbook!